2016 was a renaissance year for Lucky Goldstar a.k.a LG. Amidst reports of its twiddling smartphone market share, the Korean giant managed to pull the rabbit from the Hat just in the nick of time with The G6. Despite low expectations, the G6 managed to grab a spot for itself in best smartphone category across various digital platforms and online polls. The expert reviews were also thrilling for the consumer electronics giant. G6 stood out for its breakthrough design, massive display, excellent wide-angle camera, and dependable performance. This raised tremendous expectation for the next in line offering from the closet of the smartphone maker. And if rumors and forecasts are to be believed we must say, smartphone lovers may just be in for a surprise. The new premium offering has been christened as LG G7. The makers were reportedly bent on doing away with the G series. The G6 was touted as the last retiring member of the G series. However, the market trend favored sticking with the double-digit name to stare eye to eye with the likes of the iPhone X and upcoming Galaxy S9. Read Also:How to Control Smartphone Addiction? 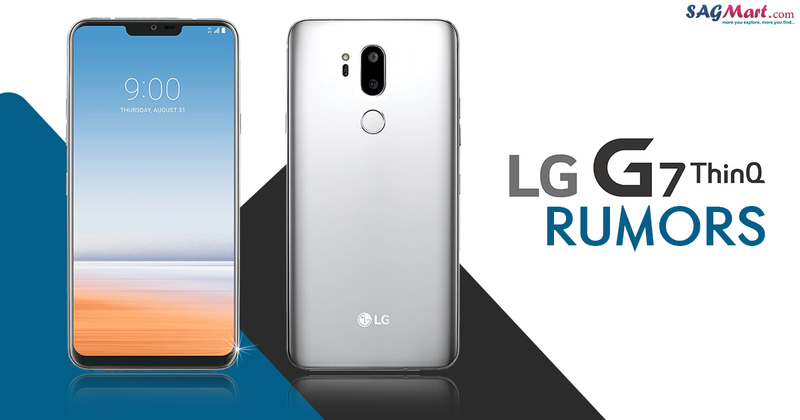 The same was confirmed by TechRadar who leaked an image of the boot screen of the upcoming phone showing its name as the LG G7 ThinQ. The Q refers to the A.I features of this flagship offering. This was however denied by the Spokesperson from LG. The display of the LG G7 is shrouded under mystery with speculations running wild. Earlier reports claim an OLED display in the lines of Samsung’s Galaxy S8 and the iPhone X, Whereas the recent ones hint a new type of display, called “MLCD+”. MLCD+ will render high brightness to the display and save battery at the same time. This may hamper cost-effectiveness in a very competitive market. Hence LG may opt for the much cheaper LCD panels. The other premium smartphones in the LG G7 category carry OLED display. OLED Display offers improved contrast, power efficiency, and thinner screen features. But an OLED panel costs almost twice than the LCD displays used in bigger premium phones. LG may intentionally opt for LCD technology for its G7 displays to lure a larger base of potential buyers. It may even opt for two variants of G7: An LCD budget model, and a more expensive OLED model. With this move, LG it seems is standing at the crossroad of reinventing itself with old values still very much part of the larger picture. The smartphone will probably be made available in four color variants: Aurora Black, Platinum Grey, Raspberry Rose, and Moroccan Blue. The Moroccan Blue finish will have two more variants: High gloss and matte. The impressive 6-inch screen will adorn a 19.9 resolution and an optional notch at the top. The 900 pixels per inch renders an incredibly sharp display. The LG G7 ThinQ will be unveiled in New York on May 2, 2018. Smartphone lovers must expect a premium price tag on this latest offering from the consumer electronics maker whose products promise a good life experience. 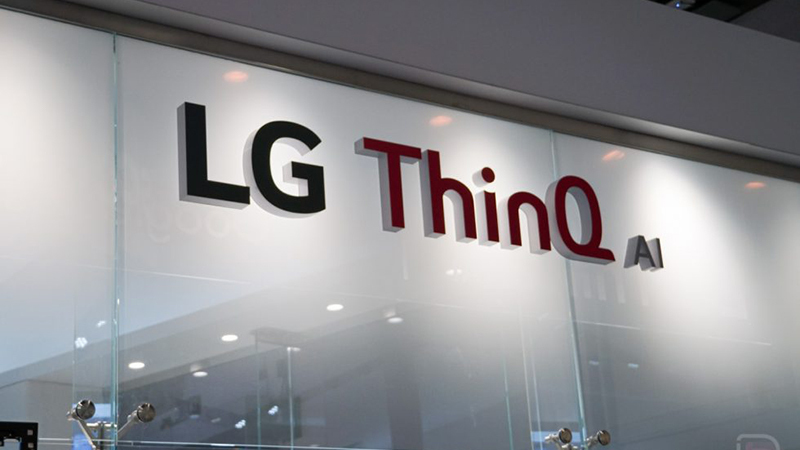 Weirdly named ‘LG G7 ThinQ’ confirmed for a May 2 Launch in New York. Thoughts? The LG G7 is a bold replacement to the G6. If the rumors doing the round are to be believed the G7 will lock horns with other premium flagship phones in its category like the Galaxy S9. The G7 will boast of best in the business specifications. It will be powered by the Snapdragon 845 processor which is the child of one-year-old LG and Qualcomm collaboration. The Snapdragon 845 processor promises a 25-percent performance uplift when compared to the predecessor. Further, the smartphone users will relish top-notch gigabit connectivity on supported networks via the chip’s X20 LTE modem feature. Under the hood, the premium smartphone will draw power from a 3,000mAh battery. On the memory front, the LG G7 will comprise of 4GB of RAM and 64GB storage. As per reports, the LG G7 Plus may have 6GB of RAM and 128GB storage space. Other notable features include a dual rear-facing camera, water resistance, and stereo speakers. The Korean smartphone is this time betting heavily on Artificial Intelligence. To stay in the changing landscape of smartphone technology, G7 will use AI to integrate deep Q voice and Q lens. However, with time we will know how successful these features are and if or not it can give other voice assistant services like the Alexa, Siri, Cortana a run for their money. The G7 is also rumored to have a dedicated A.I. key on the phone on the lines of Bixby Key. Going by the rumors, the G7 will come equipped with dual 16-megapixel rear cameras and a front-facing wide-angle 8MP selfie camera. 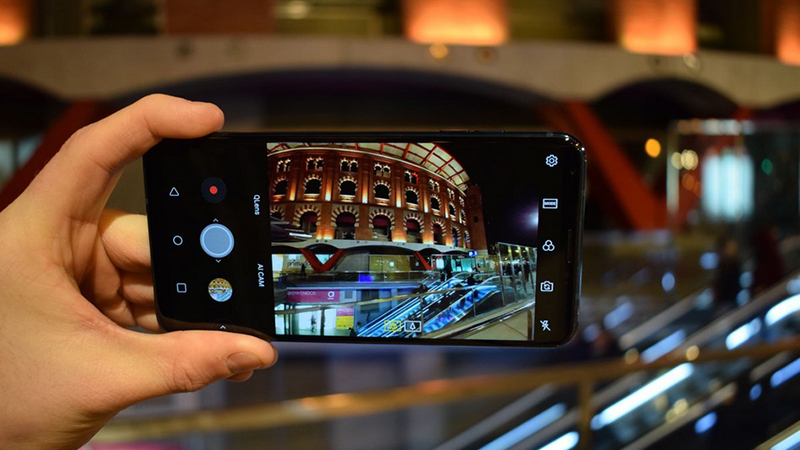 The rear-cameras on the LG G7 ThinQ will have a 1.5 aperture sensors for that perfect shot even in low light conditions. The two vertically aligned rear cameras are vertically aligned and carry a fingerprint sensor just below drawing a strong parallel with the iPhone 10 design.